This Mayonnaise Cake is super moist and delicious. 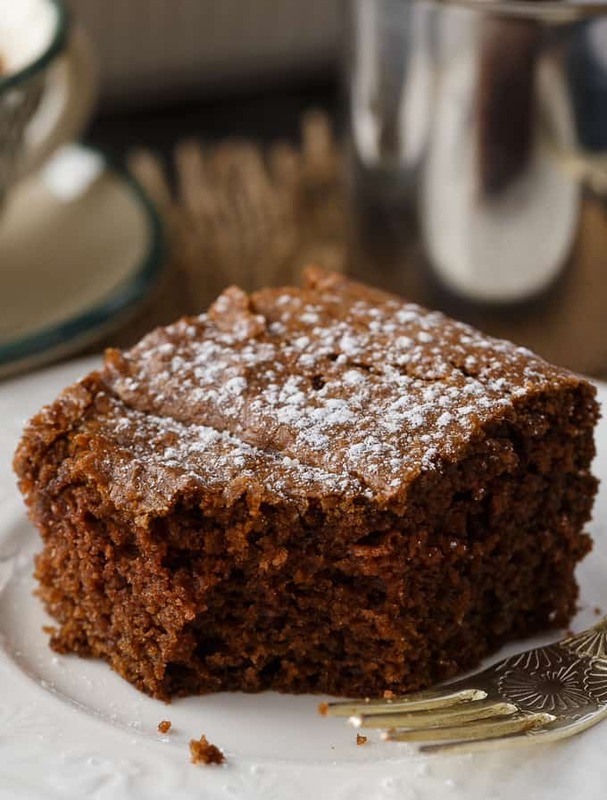 Use mayonnaise instead of eggs in this yummy chocolate cake recipe. Did you know that if you don’t have eggs for a cake recipe that you can use mayonnaise? It actually adds an extra element of richness to the recipe. Mayonnaise is made up of oil, vinegar and eggs which makes the cake tender, moist and brings out the chocolate flavor. I only use Hellmann’s mayonnaise at home, but you could try other brands and use whatever you have in your fridge. Mayonnaise Cake is a vintage recipe that grandma’s have been baking for years. You know it’s a good recipe when grandma makes it! 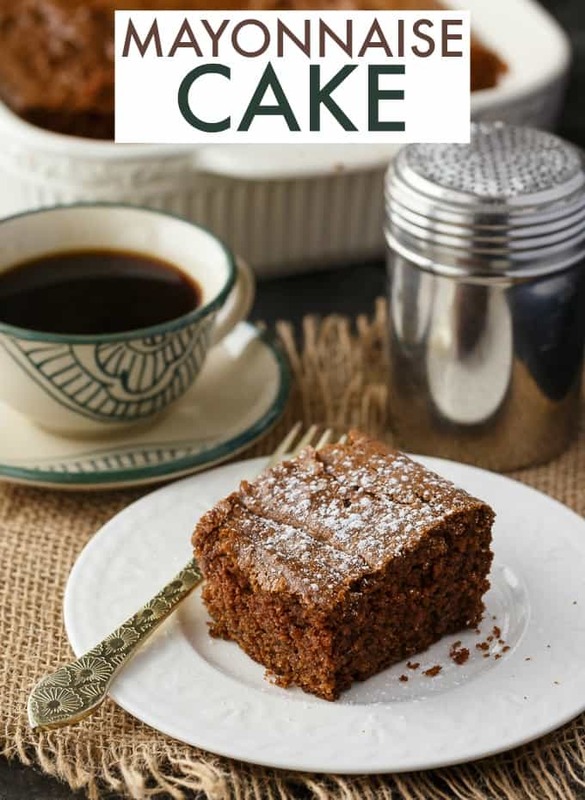 This easy cake is great for a quick dessert or as a snacking cake served with some afternoon coffee or tea. Add your favourite chocolate frosting to give it an extra burst of sweetness. I sprinkled the cake pieces with powdered sugar to serve to my family. 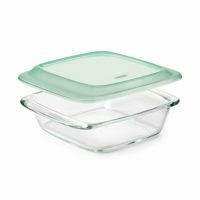 Start by preheating the oven to 350F and greasing an 8×8 baking pan. In a large bowl, stir together flour, sugar, cocoa, baking powder and baking soda. Then stir in water, mayonnaise, milk and vanilla extract. Spread the cake batter in the baking pan. Bake for 40 minutes or until a toothpick inserted in the centre comes out clean. The cake will begin to pull away from the sides of the baking pan when it’s fully cooked. Let it cool a bit before cutting into pieces. 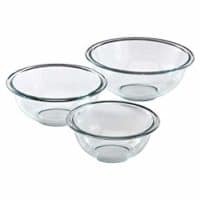 Top with frosting, powdered sugar, ice cream and/or chocolate sauce to serve. So yummy! 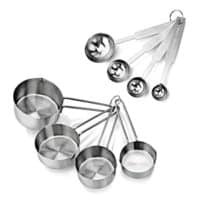 Here are some kitchen tools that will help you prepare this recipe. Who knew you could use mayonnaise in a cake recipe? 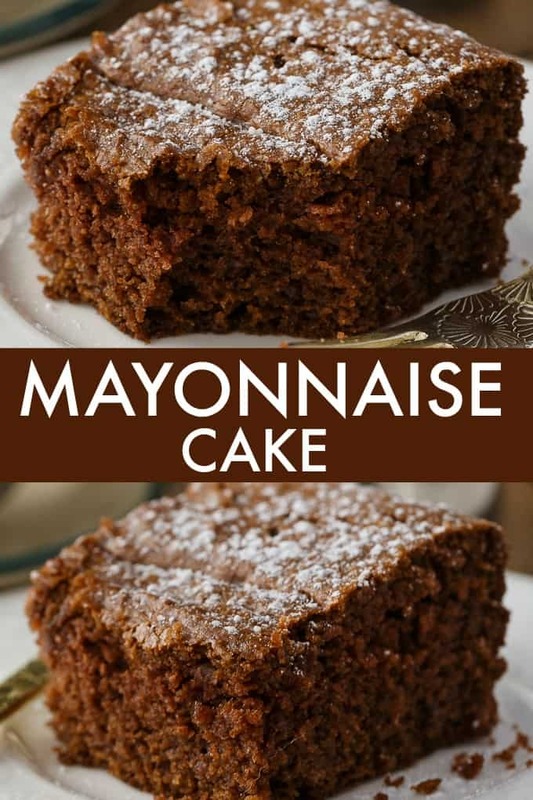 I discovered this little trick a few years back and have made this easy old-fashioned mayonnaise cake recipe many times. It’s always been a hit in our home and I hope you love it, too. I have a few more delicious chocolate cake recipes for you to try. Hot Fudge Pudding Cake: So sinfully rich! Luscious chocolate cake bakes right with a creamy, chocolatey pudding sauce. 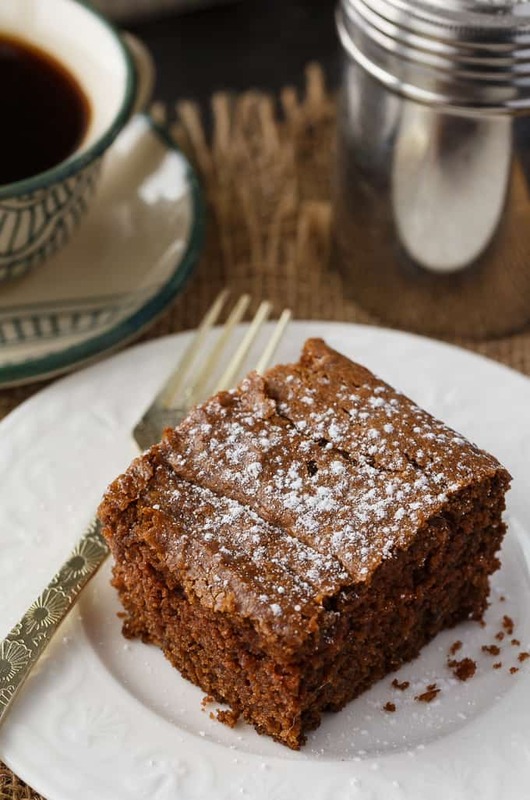 Mocha Cake: This Mocha Cake recipe is wonderful served with coffee or tea. 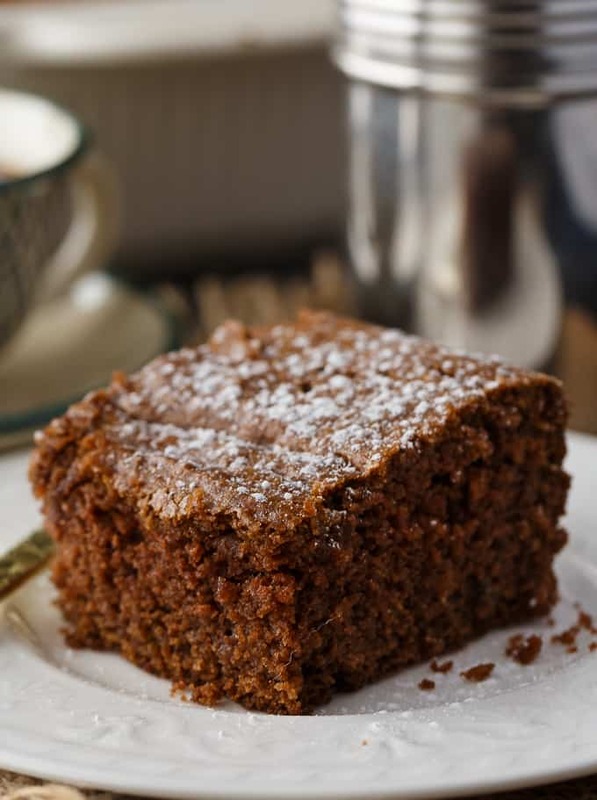 It’s moist and delicious with hints of chocolate and coffee flavours. Have you ever used mayonnaise in a chocolate cake recipe? Super moist and delicious. 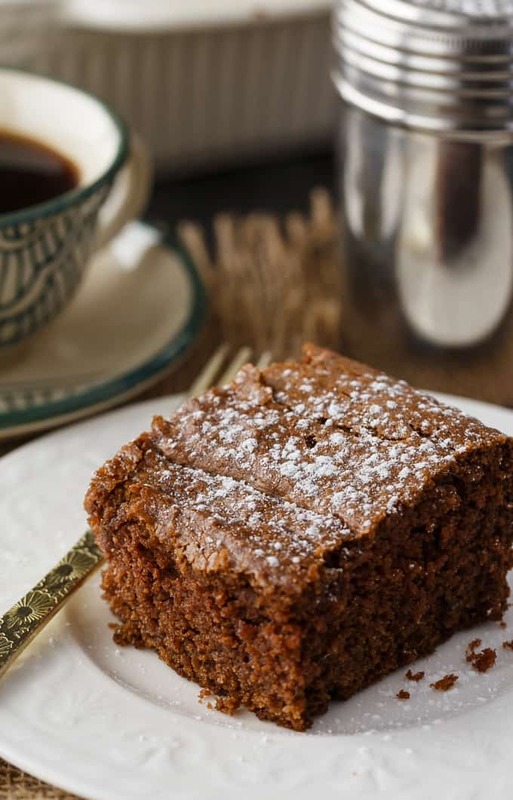 Use mayonnaise instead of eggs in this yummy chocolate cake recipe. In a large bowl, stir together flour, sugar, cocoa, baking powder and baking soda. Stir in water, mayonnaise, milk and vanilla. Spread mixture into a greased 8x8 baking pan. Bake for 40 minutes or until a toothpick inserted in the centre comes out clean. Wow, it looks super yummy! Oh wow! This looks so delicious! My family would give everything just to have a piece of this cake. It looks so perfect. I make sheet cakes every month for a dealership I worked at and I always use mayo, it keeps the cakes so moist and delicious. I mention it to someone eating it and they don’t believe me, go figure. Hah. Hi, can I use eggless mayo in this recipe please ? My grand daughter cannot eat eggs. I remember hearing about these cakes when i was a young girl, but I have not made one. 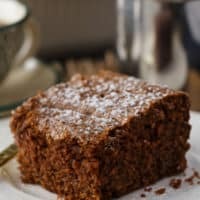 This looks so moist and delicious, I am looking forward to trying it! Thank you for sharing at Celebrate It! This recipe brings back so many memories. As a kid I loved mayo sandwiches on white bread. My Dad hated mayo so we never had any in the house. My mayo sandwich was satisfied at my aunt’s house – they always had mayo in the refrigerator. This cake was the only reason we would have mayo on hand. I’m not sure if my Dad knew it had mayo but it was one of his favorite cakes served plain and simple. Thank you for the recipe!